Should you choose to contact us using the contact form on our Contact us page or book a treatment , none of the data that you supply will be stored by this website or passed to / be processed by any of the third party data processors defined in section 6.0. Instead the data will be collated into an email and sent to us over the Simple Mail Transfer Protocol (SMTP). Our SMTP servers are protected by TLS (sometimes known as SSL) meaning that the email content is encrypted using SHA-2, 256-bit cryptography before being sent across the internet. The email content is then decrypted by our local computers and devices. 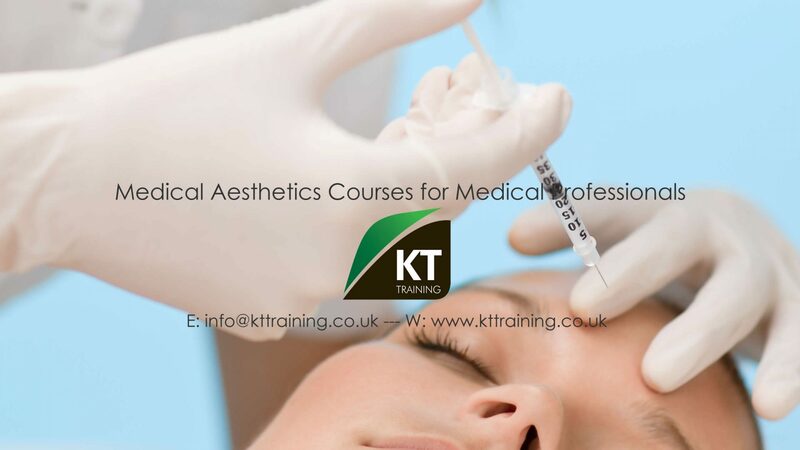 We will however email you with information about KT Training upcoming treatments. If you do not want to receive these emails respond to the email received with the title unsubscribe and your information will be removed from our system. All course attendees receive complimentary membership to the Medical Aesthetic Academy web site. Candidates must inform KT Training if they DO NOT require automatic registration on this site. To unsubscribe to this resource email info@kttraining.co.uk with the title unsubscribe from the KT Training E learning otherwise your membership will remain until notification. As detailed in section 3.2 above, if you submit a comment to a blog post published on this website some personal information will be stored within this website’s database. This is currently the only occasion where personal data will be stored on this website. This data is currently stored in an identifiable fashion; a limitation of the content management system that this website is build on (WordPress). This website is hosted by 1and 1 within an EU data centre. All traffic (transferral of files) between this website and your browser is encrypted. The data controller of this website is: KT Training limited, a UK Private limited Company.